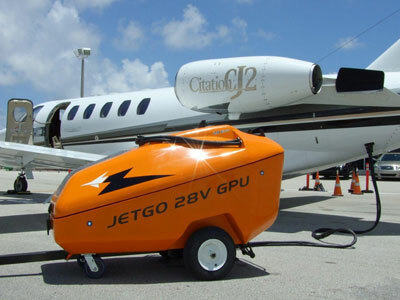 AERO Specialties manufactures the revolutionary line of JetGo 28.5V DC diesel-electric hybrid aircraft ground power units, fabricated specifically for the needs of the aviation industry. The JetGo model 600Mti-RJ GPU is designed to provide 600 continuous amps and 2300 peak starting amps with innovative diesel-electric hybrid technology. Military-specific configurations are now available. Watch a JetGo start a Citation and a Merlin on the AERO Specialties YouTube Channel. 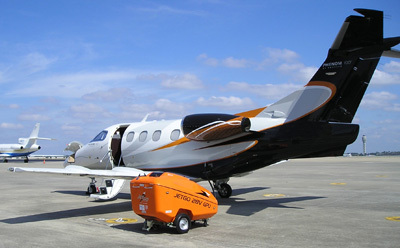 Visit AERO Specialties at www.aerospecialties.com for more information or call 208-378-9888 to get a quote today! To directly purchase the JetGo 600Mti-RJ GPU, click here. AERO Specialties offers two JetGo GPU models, the 600Mti-RJ and 550Mti-RJ.